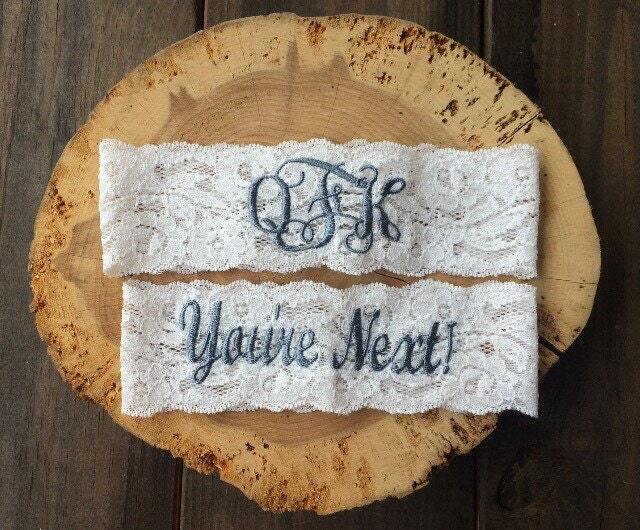 This fun garter set is shown in a charcoal grey with your new married initials embroidered on the keepsake and "You're Next!" ™ on the toss garter. Want another color or saying? Just ask!